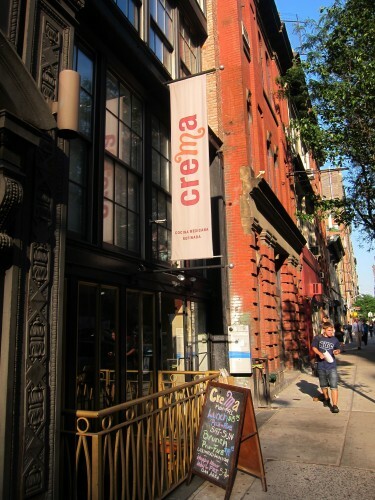 Chef Julieta Ballesteros, of Mexicana Mama fame, has traded up to Crema in Chelsea, where she serves upscale, refined Mexican cuisine. This eatery is a place to try delightful combinations of carefully composed plates. 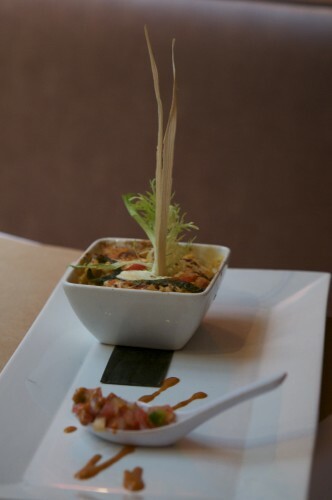 Ballesteros has put a lot of thought into the creation of each dish. 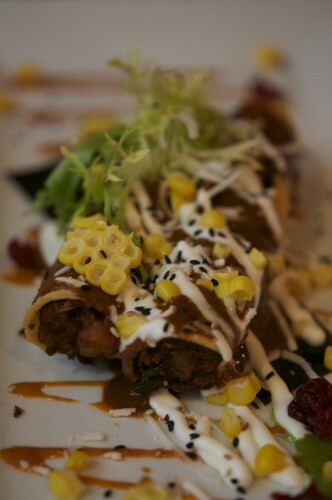 At Crema, one experiences combinations of Mexican flavors that are rare and very pleasing to the palate. Don’t go expecting common fare like burritos, enchiladas and quesadillas. 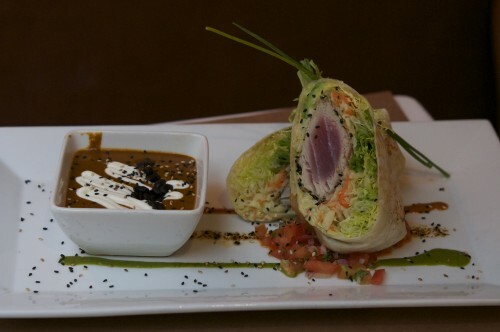 Instead, experience imaginative meats and vegetables painted with sauces like sesame-pasilla, chili aioli or pomegranate honey. You must try their Salsas de Casa. 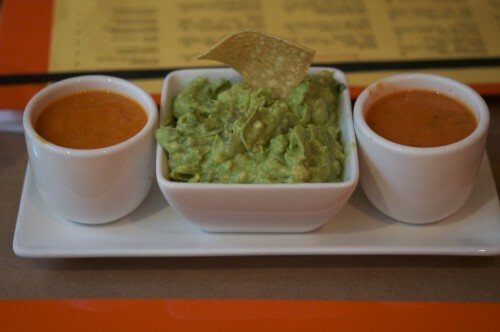 One is flavored with a fiery habenero and is served warm whilst the other served cold has a milder chipotle accent. 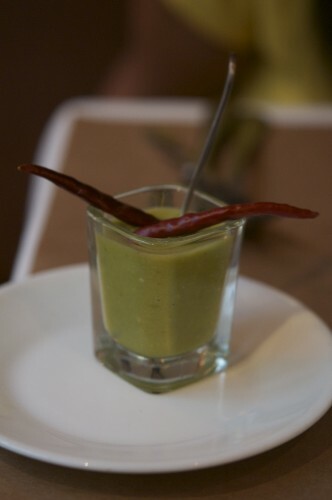 I loved the play of temperature and spice in these salsas. 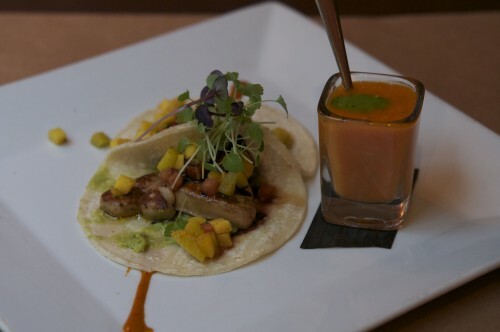 Ballesteros has done a terrific job of elevating Mexican food into fine cuisine. She sure has put Crema on my list for favorite Mexican spots in the city. This entry was posted in Chelsea, MANHATTAN, MEXICAN, NEW YORK CITY and tagged Best dishes at Crema, best food Mexican food spots in NY, best of Mexican restaurants in New York City, blog posts on Crema NY, blogs on Crema NY, Chef Julieta Ballesteros Crema food ratings, Chef Julieta Ballesteros reviews, Crema food, food ratings for Crema NY, fusion Mexican restaurants in New York City, High end Mexican restaurants in New York City, Mexican restaurants in New York City best of, Mexican restaurants in New York City reviews, ratings for Crema NY, refined Mexican at Crema, reviews for Chef Julieta Ballesteros Crema, reviews of Crema NY, The best Mexican restaurants in New York City, Top 10 eating spots in New York city, upscale Mexican food in New York City, upscale refined Mexican cuisine in New York City, what are the best dishes at Crema NY, where to eat good Mexican food in New York City. Bookmark the permalink.